The mission of Cregagh Presbyterian Church is, by the grace of God, to be an inclusive, welcoming community of Christ’s people of all ages, which is characterised by love for God and love and concern for others, is committed to the Christian Gospel and aims to be relevant to people of this time and place. 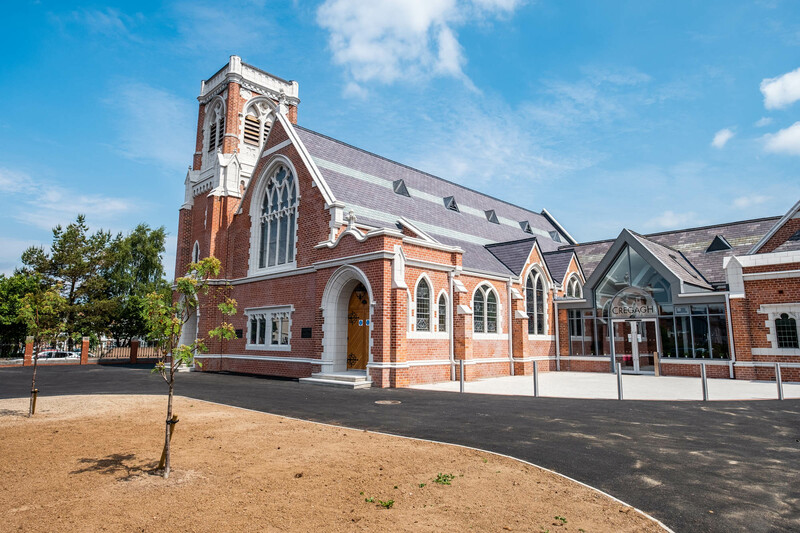 Over recent years, spurred on by the need for major maintenance and refurbishment of our building, work which has now started, much thought and effort has been spent subtly re-shaping our approach and building on our values to ensure a thriving congregation into the future. This development has been and continues to be evolutionary rather than revolutionary, and we consider that we would have failed if any ill feeling was created. This care does not take away from the sense of purpose and enthusiasm that characterise the change process in the congregation. In order to move forward, we recognise that change is inevitable and the biggest change has to be to continue to increase the level of commitment to Christ and His Church. Part of the process of change is to build on our strengths and challenge our weaknesses, and turn them around. One of our aspirations is to encourage a wider group of people to join and commit to serving Christ in Cregagh, as part of an overall effort to help people to put their faith into action. We hold these aspirations whilst recognising that there are already some very committed people doing very important work. Resources and budgets need to be prayerfully considered, but the general sentiment is that appropriate plans and subsequent activities should not be financed by fund raising activities but be met by congregational finances. We use praise group and contemporary music in services at least twice per month (one contemporary service and one Connect service). We have one service per month focusing on Mission. We aim to have a high standard of communication. An Organisations Forum meets annually and it is intended to work with all organisations to extend our message of ‘Love God and Love Your Neighbour’. We believe that our vision has all the essential elements needed to allow us to Love God and Love Your Neighbour. We continue to make plans to develop our mission of care and evangelism to the community on the Cregagh Road. We are also looking to mobilise our younger people by getting members of our uniformed organisations involved in our contemporary services and encouraging other young people in the congregation to get involved in wider church activities such as Summer Madness and SPUD. What would we like the Cregagh Presbyterian congregation to be like in the future? We are acutely aware that our values or “how we do what we do” is as important as what we do, and this is something that we must ensure that we pass to everyone we encounter on each step of our journey.